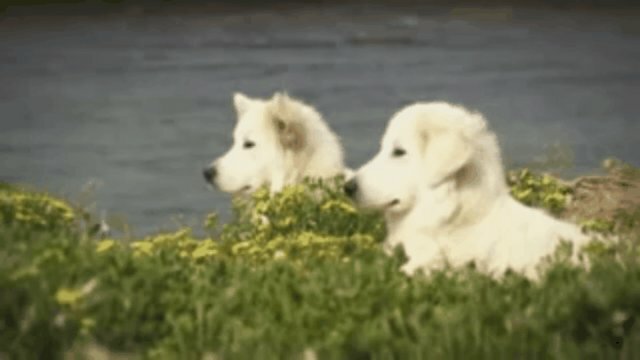 It sounds like a fairy tale, but Maremma guardian dogs have become integral to the race to save Australian fairy penguins - or as the locals call them, "chooks [chickens] in dinner suits." What is the "fairy penguin," anyway? Eudyptula minor, otherwise known as the little penguin or (in New Zealand) the little blue penguin, is dubbed the fairy penguin by Aussies. It is the smallest penguin on the planet, measuring a wee 13 inches in height when full-grown, and weighing two to three pounds on average. Fairy penguins spend most of their time in the ocean, but they do return to land to breed (once they reach about three years of age) and to molt, as the tiny critter above is doing. Between August and February, mature penguins breed and raise their young in burrows or nesting boxes near the coast. 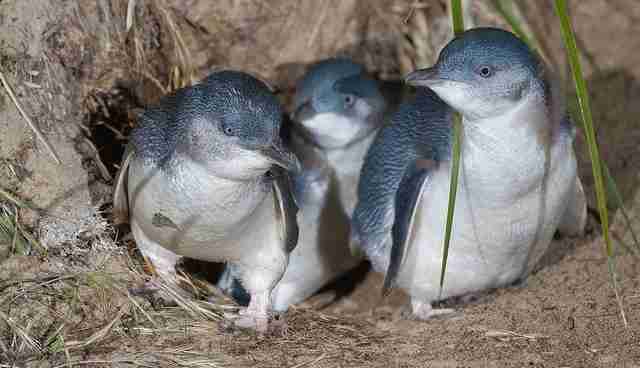 Non-native predators are evicting Australia's fairy penguins. While they were once widespread along the coastlines of Australia, the arrival of human settlers (and the small mammals they brought as pets or stowaways) kicked off the decline of the fairy penguin in the land Down Under. Since the '80s, these teeny penguins have been tracked and studied on Middle Island, a small island close to Warrnambool on the coast of southeastern Australia that was once home to around 1,500 fairy penguins. 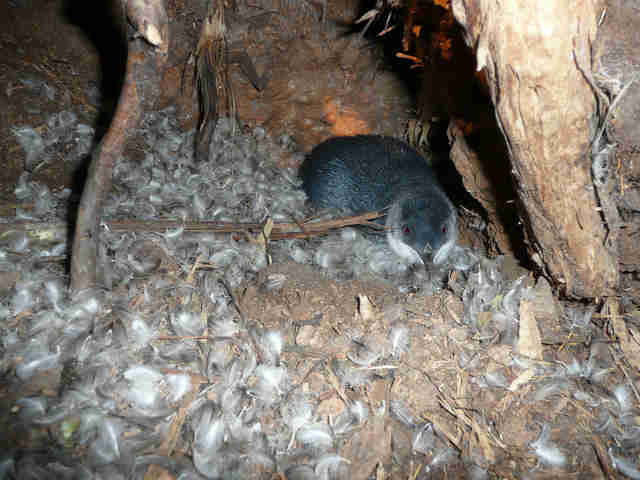 Researchers noticed in the early '90s that the local population suffered increasingly devastating death tolls thanks to predation by the red fox, a species introduced to the Australian mainland to control rabbit populations. Researcher Rebecca Overeem discovered that the 2004-2005 breeding season saw just four fairy penguins returning to Middle Island. Make way for the penguin guardians! Local free-range chicken farmer Allan "Swampy" Marsh has used Maremma guardian dogs for more than a decade to protect his "chooks" (Aussie slang for chickens) from feral dogs and foxes. Swampy put the idea to the Warrnambool City Council to guard the fragile fairy penguin population of Middle Island with Maremmas - pointing out that "to the dogs, penguins are only chooks in dinner suits." Despite some doubts, a plan was conceived and a month-long trial began in 2006. Why do Maremmas make great conservation partners? 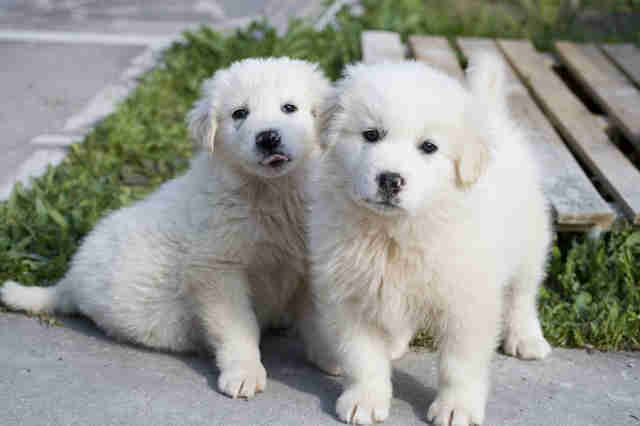 Maremmas make sense as guardian dogs because they have been carefully bred to guard sheep in central Italy since the days of the Roman Empire. 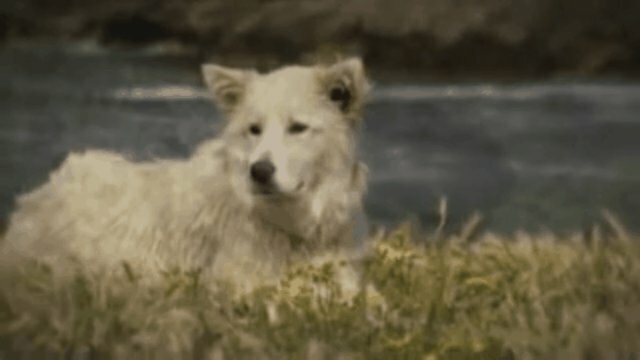 The dogs' distinguishing qualities are their thick white coats (which allow them to sleep outside with the sheep and to blend in with the flock so that the shepherd can easily identify intruders), strong builds, and protective temperaments. Maremmas are known to form a close bond with the land and creatures they protect, making it easy for them to spot outsiders. Instead of attacking would-be intruders, these huge smart dogs prefer simply to chase them away. These furry guardians are keeping up the good work. 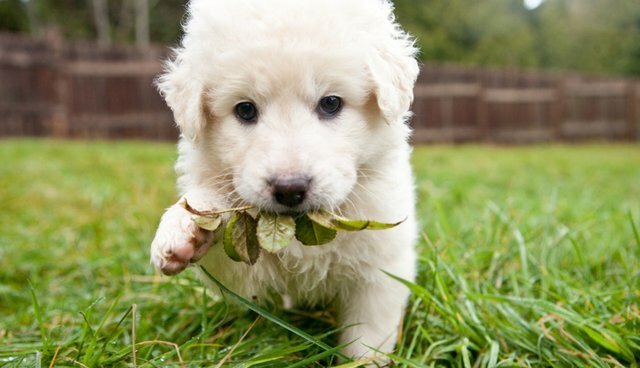 After the first month-long trial, the Middle Island Maremma Project became a year-long project and hasn't quit yet. Since 2006, the project has worked out a system for pairing dogs together for training and building their familiarity with the land and the penguins from a young age. During the breeding season, the dogs stay on Middle Island for several days at a time to keep away the pesky foxes. Then the Maremmas go back to the mainland for a few days of R and R so they don't get bored or worn out. The current dogs guarding the island's penguin colony, Eudy and Tula, are the sixth and seventh dogs to be used in the project. 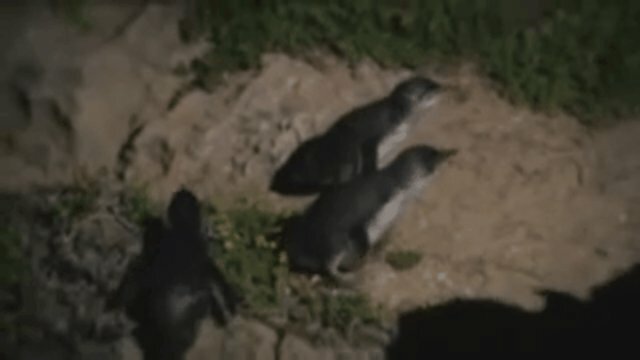 Introducing the Maremmas and closing Middle Island to the public have both helped the little penguin colony bloom to nearly 200 breeding adults. Researchers and volunteers have documented no new instances of fox predation since the first introduction of the Maremmas. The Middle Island Maremma Project is such a well-received conservation program that it has inspired similar projects like the gannet protection program at Point Danger. The project received the Australian Government Coastcare Award in 2010, and its success inspired a full-length feature film called Oddball, which will be released in 2015. To find out more about the Middle Island Maremma Project, visit its main page here. 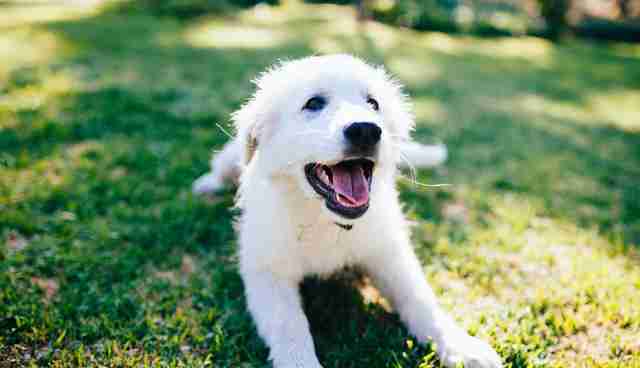 Find information about the project's educational programs and "Meet the Maremma" tours here.